bearing assemblies and knuckles merge on alternating (fingered) steel plates,pinned through with 6 inch diameter steel “pins”. The catenary is supported at each end by concrete walls with backstays that are anchored below grade. The backstays at the north end are splayed at 45 degrees and form the shape of the glazed enclosure around the stairway up to the slide. 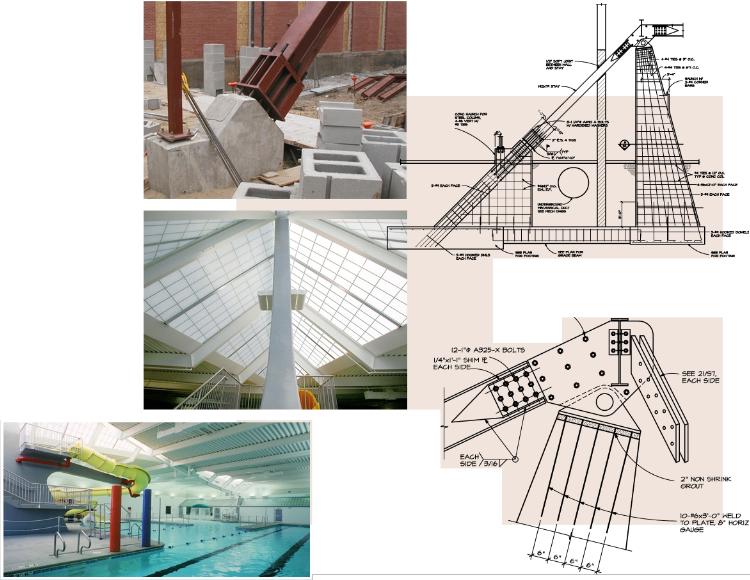 The north concrete support includes a cantilever arm extending out over the pool to provide support for part of the slide, the stairway slabs cantilever out from the main support as well.